Over the last couple of years I’ve slowly made changes to our home. I’ve been more intentional with what I spend my money on and how I spend my time. I don’t want to have a home filled with things to simply show off. I want my home to be a haven for my family. A space where we gather and create memories. I don’t care about fancy furnishings and pricey decor. Nothing wrong with it if that’s your thing, but it’s not what brings me joy. The less you have in the home, the less surfaces you have to dust and wipe. I can easily whip my house into shape in 1/2 of the time that used to. I’m very particular about the furniture I buy and the decor I put up. If I don’t love it, I won’t put it up just for the sake of having something there. I still have several empty walls in my house that I’m slowly decorating. Quality over quantity is my new motto. My mom and I have the same square footage, yet she swears my house is bigger than hers. The reason she believes our home is bigger can only be explained by our lack of clutter. I don’t feel the need to fill up every nook and space in our home. I like having some empty spaces. Empty space creates the illusion that a space is larger and can also be more visually appealing. Want a bigger home? Just get rid of some stuff. You might be thinking, how does a simple home and money relate? In more ways than you can imagine. I spend less on stuff because I no longer feel the constant need to update or upgrade the home. 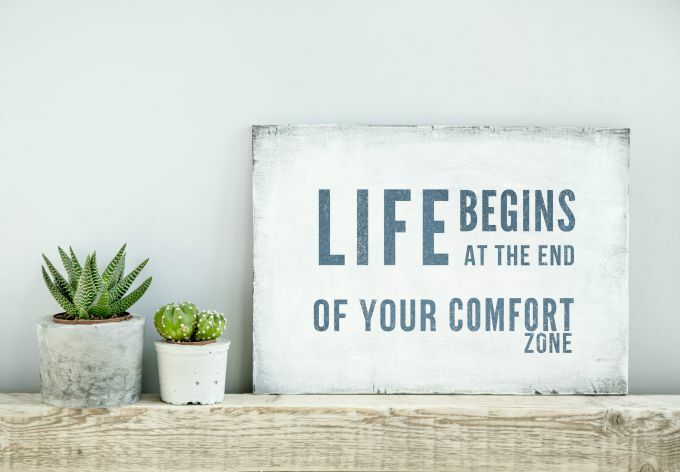 There’s nothing wrong with sprucing up your space and making it your own. I enjoy decorating, truly I do. But I don’t feel the need to switch my decor every season, and I certainly don’t feel the need to keep with anyone. So when I’m at the store, I can say no to frivolous purchases and save my money for the things I really want. One of the best benefits of keeping a simple home is having more time for my family. The less time I spend de-cluttering, cleaning and moving stuff, the more time I have in my day. I used to spend my weekend cleaning our home and prepping it for a new week. Now I can actually enjoy my weekends without feeling guilty about a household chore that needs addressed. This alone makes it all worthwhile. We’ll never get time back once it’s gone, so please use your time wisely. Did I mention that trash starts to dwindle when you own less stuff? Yup, because you’re no longer shopping for things to fill up your home. Unless I’m doing a major purge, our trash is minimal. Imagine what an impact that would have on our environment if we all cut back on the stuff we buy. I also love that my kids have learned from our example and are very particular about what they purchase. My oldest daughter is currently working, and has been saving her money to travel with our church. It makes my heart happy that she’s spending her money on experiences and not things. The less you have the more you can shift your focus on the things that are important to you. The peace of mind that simple living brings is invaluable. I love that I don’t have to worry about stuff and that I no longer get consumed with little things like buying a new light fixture (I have a thing for lights). Our home has become what it was meant to be, a place for our family to gather. A place for us to share and connect. Not a place to show off what we own, or walk around on eggshells because it’s too nice to enjoy. Although we don’t live in a big home or own fancy stuff, we love our space. Not because of it’s material value, but because of what it enables us to do. 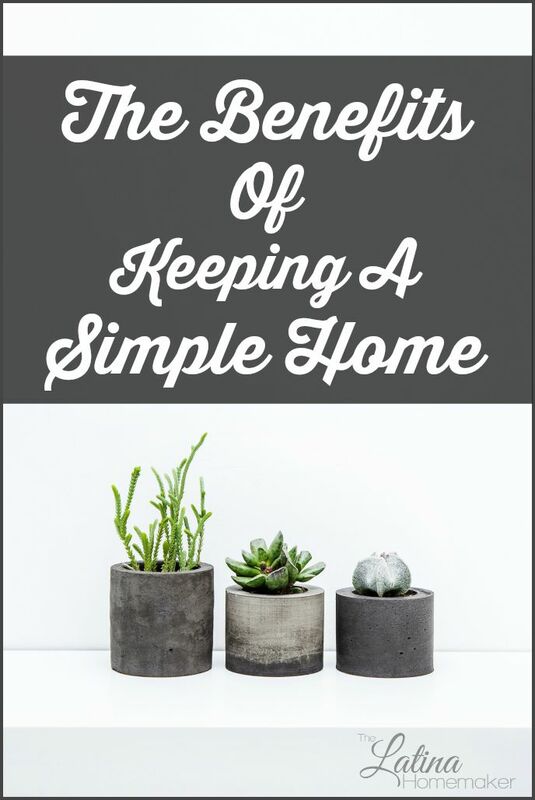 Have you ever considered keeping a simple home? Or perhaps you think I’m a bit off the wall? Either way, I would love to hear your thoughts on this. I’m looking forward to reaping all those benefits at the end of my declutter and simplification journey. I used to be very minimalist, mostly because I moved regularly and less to pack and worry about was always my motivation. Since being settled, stuff has accumulated and multiplied. Like ‘tribbles’. My daughter and I are working on a ruthless cull right now. No more ‘bit at a time’ decluttering… it’s a massive purge. We’re hoping to get the bulk of it done over the weekend. Then we can sit back and enjoy the peace and serenity of a space that reflects what we love and cherish. I *know* it will be worth the effort. This is so true. I’ve been working on decluttering my home as I love the idea of minimalism, and I’m halfway through it. All the rooms that have less clutter is much quicker to clean than the rooms with the clutter in it. The clutter free rooms are easier to relax in. Clutter gives me anxiety.